BarnDoor Lighting offers a great selection of Peter Engh pro sound cables and adapters designed exclusively for the professional sound recordist. 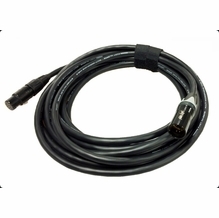 These custom cable solutions and interface products include high-quality Peter Engh breakaway cables featuring custom cable ends designed for a specific camera or camera/mixer combinations. 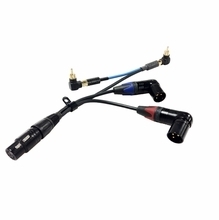 When the camera needs to "break away" from the mixer, these cables allow for just one connector to release it rather than multiple cables and connectors. This cable system also sends a monitor return back to the mixer and often shoots a courtesy monitor tap for the cameraman. 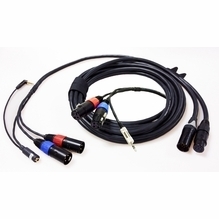 For powering all your sound devices, cable by Peter Engh is a smart choice. 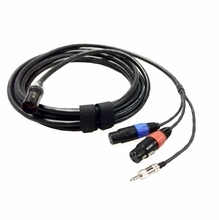 Use M3 mixer and recorder ends to for Hirose and XLR connectors and quick-release breakaway cable extensions for multi-camera setups and short mixer ends. BarnDoor Lighting will assist you with purchasing Peter Engh gear if you give us a call at 1-888-276-3667 or send an e-mail to info@barndoorlighting.com.